Because they are the elite and the oligarchy who lorded it over the past 30 years, and would not easily give up the power, wealth and influence they immensely enjoyed, at the expense of the ordinary citizenry. They are the same bunch who made our mundane lives more miserable. They are the ones who corrupted the system to milk it dry while we ended up with poor infrastructure and a perpetual cycle of mess and patch up remedy. Note that the remedy is always shortsighted and temporary because this is where they earn more. They are the leadership who manipulated the system so craftily to look good on the outside, but so hollow on the inside, like the favorite "Ampaw" we like to munch but will have problems later with indigestion and tooth decay. They are the ones who drove our skilled workers to migrate elsewhere because they did not offer jobs here with decent wages. These are the same group of incompetent and uncaring leaders, headed by two pedigreed scions of landlords and political bigwigs who are so clueless of the true state of the nation, even as one of them became president out of sheer luck while the other and his mother was so desperate to become one but can't make the grade despite the billions they threw away. Aside from de Lima, we also have to be wary of other, and actually more sinister, lieutenants of this political machinery, that hides under the majesty of the legislature. We have to watch out for Franklin Drilon, Antonio Trillanes, Risa Hontiveros, Francis Pangilinan and Bam Aquino. They would like nothing more than to bring back the status quo, especially because their ineptitude as lawmakers are now unravelling. 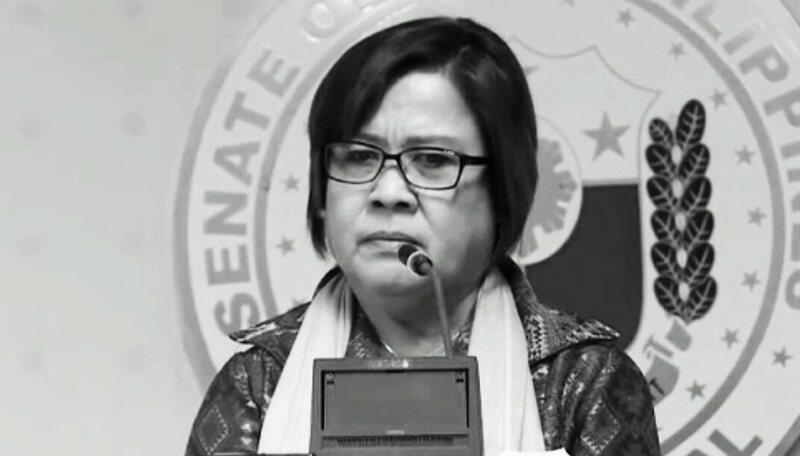 No matter how subtle they try to appear, their appearance and pronouncements betray their motives and intent, particularly their stance on the war on drugs and corruption, which they are vehemently opposing under the guise of human rights violation. The hypocrisy of their acts can't be denied, when they even attempt to legislate information dissemination and curtail the phenomenon known as social media. This is how brazen they are, not because they care for the republic and its citizens. All they care about is their self preservation, and to continue to provide a governance that perpetuates mediocrity, illiteracy and poverty. The subterfuge is so cunning that we keep on electing them. They want us to remain to be dumb, to be poor, and to be miserable because they are like vultures who want to feast on our carcasses. In a way, they are a dictatorship that do not dictate, but simply to govern in such a way as to foster apathy and indifference. In the last 3 decades, they have succeeded. Because the tipping point has arrived, this country is ready for an authentic upheaval. There is great sense of engagement never before embraced by a citizenry that has reached its peak tolerance and patience. It would be a gross mistake to ignore or to dismiss this outrage and to belittle it by the traditional manipulation that worked before. This time, it is vastly different. When the siren calls out, you can bet your life that change is not coming. And we will fight to let it in completely.